I had a blast with my family this weekend. We enjoyed good food, drinks, family and friends over the weekend and now its time to get back on track. 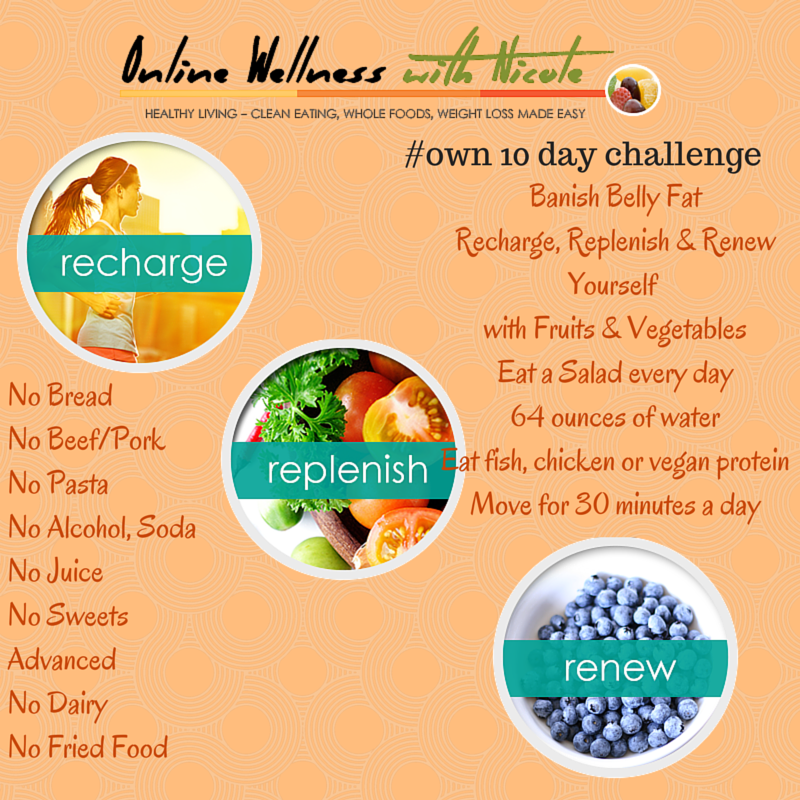 This challenge will help to recharge, replenish, and renew you from feeling bloated with a lack of energy. Preparation helps to prevent sabotage while you are out and about whether you’re at work or at the mall. If you need to clear out that pantry, take some time and do it today.